Technology has allowed us to enjoy many luxuries in the current times. There is so much innovation and rapid improvements almost each day that it is surprising to know that many of the daily items we use today had a completely different image once. The modern look of everything has made many people forget that we can trace back the current technology very far back into the history of time. Whenever we say the word car, we think of a four-wheeled and four-door vehicle that has been designed to reduce time on long journeys and ensure human comfort. 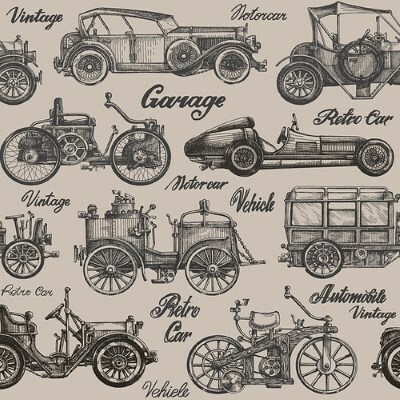 However, many of us have forgotten that the history of the car can be traced back to the first working steam-powered vehicle. Since then, many people have worked over this original idea to finally shape it the way we know it looks today. If you are an English language nerd, then you are surely interested in the origin of the many words we commonly use today. Just like the history of the car, words also change over time in relation to how we speak and spell them. The etymology of the word car shows that it was derived from the Latin word carrus or carrum. Carrum means a wheeled vehicle. The word vehicle itself has origins in Latin. The Latin word vehiculum became vehicle in English. In Latin, carrus means a wagon, a four-wheeled baggage cart, cartload or wagonload. All these meanings point to what a car means in English. In medieval times, carrus was used as a unit of weight as well. The word car is also classified as a descendent of carrus in Romanian. Carrus has two alternative forms in Latin as well; namely carrum and charrus. The etymology of carrus can be traced back to Gaulish origins. It is known to be derived from the Gaulish karros and from Proto-Celtic karros meaning chariot or wagon. The Gaulish language is a branch of the Brythoic language and it also used the word Karr; the Brythonig language evolved into Welsh (and Gaelic) where 'Car llusg' (drag cart or sledge) and 'car rhyfel' (war chariot) are still relevant. The English language has a lot of influence from Latin so many words have Latin origins. Carrus is an obsolete term meaning that the word is no longer in use but the thing it refers to still exists; namely car and automobiles. Automotive glass has some interesting history as well. Horseless carriages in the 20th century started using glass to protect the drivers against harsh winds. This practice is still alive as the windshield is known to provide safety to the car passengers and drivers. However, in the past, the glass used was not sufficient against flying debris. In 1903, Edouard Benedictus, who was a French chemist, discovered shatter proof glass. This was kind of accidental discovery when he dropped a glass flask filled with dried collodion film. The glass cracked but did not lose its original shape. What we see today in cars is laminated glass which is strong enough to keep flying objects from getting through the windshield. Next time, you admire anything modern; remember that nothing was innovated without having deep roots in history.